The extravagant bathtub in the bathing area looks out to the bedroom on the second floor through a glass wall. 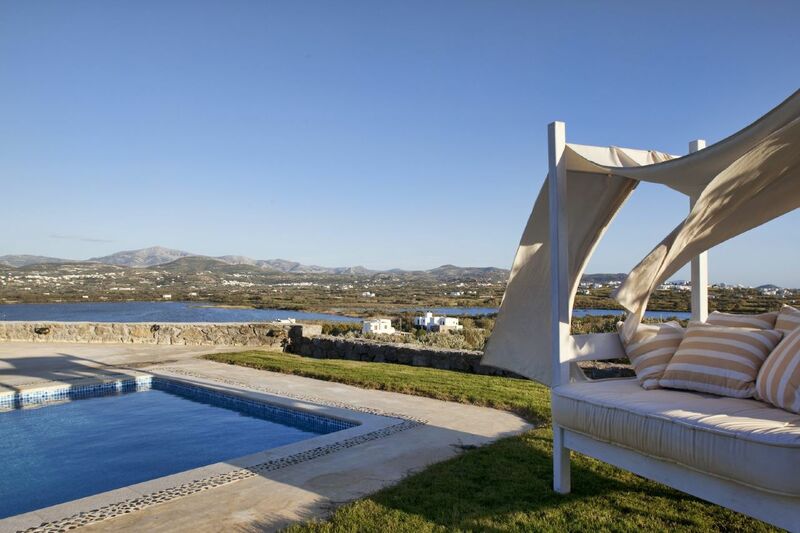 This two-floor villa offers complete privacy for couples, with a full kitchen on the lower floor. 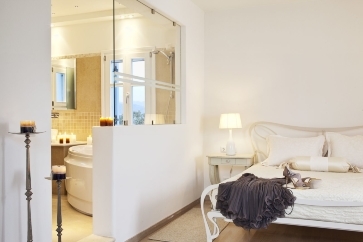 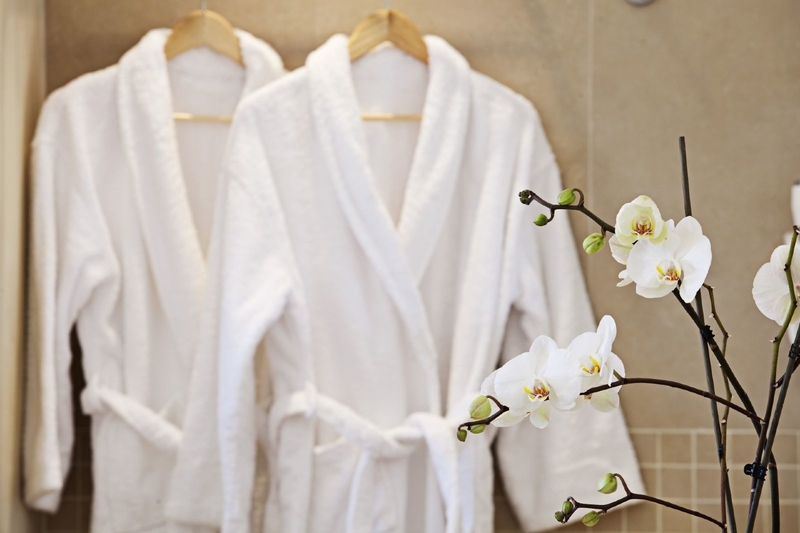 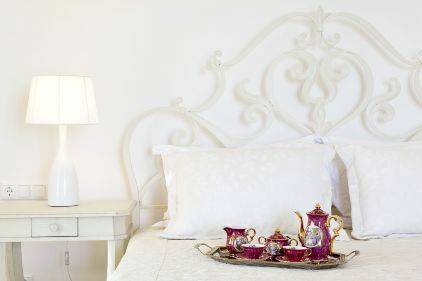 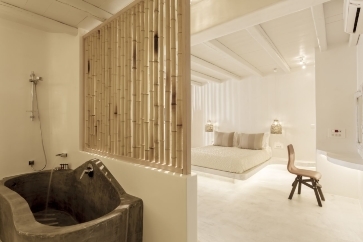 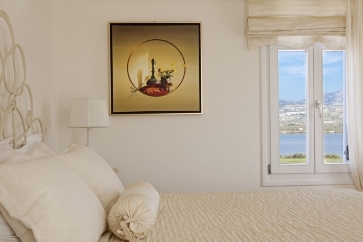 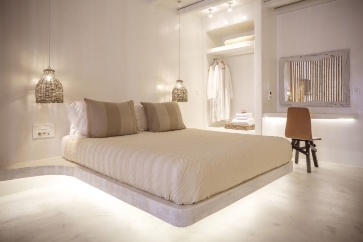 The latter also boasts a second bathroom and bedroom which is perfect for an afternoon siesta in full Cycladic fashion.